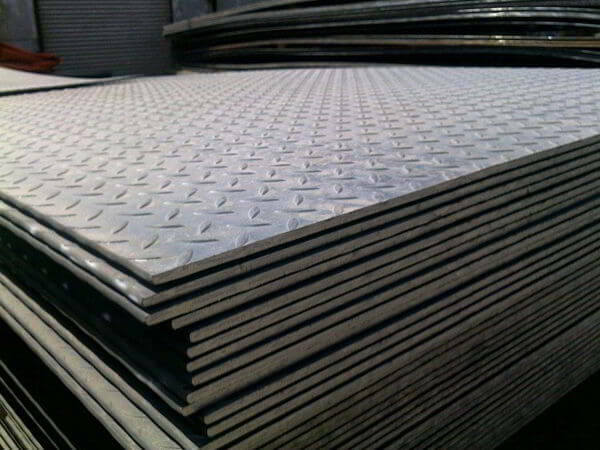 Incoloy® 800 Diamond Plate, UNS N08800 Incoloy Hot Rolled Plates Stockists, Nickelvac® 800HT Coils Dealer, Incoloy® Alloy 800H Slotted Hole Sheets, Incoloy 800HT Flats, Type 800H Incoloy Alloy Rings, UNS N08810 Incoloy Corrosion Resistant Plates Dealers in India, UNS N08811 Nickel Alloy Strip, Rolls Distributors in Mumbai. Renine Metalloys is a well-known leader in manufacturing Inconel Alloy 800, 800H, and 800HT Sheets Plates Coils, which is best joined / welded using products for high temperature situations. Our Inconel 800 Sheets are used in a variety of applications involving exposure to corrosive environments and high temperatures. 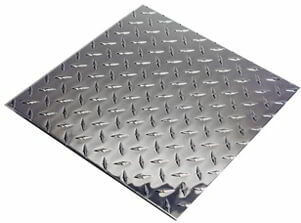 These Inconel 800 Plates is a combination of nickel and chromium alloy that has excellent tensile strength and resistance to oxidation as well as carburization properties. Our Inconel 800 Coils is a solution heat treated (2100 Degree F / 1150 Degree C). These Inconel 800H Sheets is used for furnace components, carburizing fixtures and retorts. The work-hardening rate for our Inconel 800H Plates is higher than the rate for mild steel but lower than that for Type 304 stainless steel. Stress relief or annealing of these Inconel 800H Coils should be considered depending on the total amount of strain induced by fabrication taking into consideration the intended service of the material. 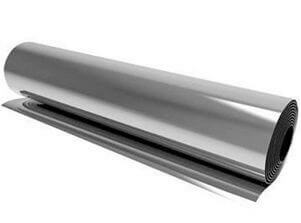 Our Inconel 800HT Sheets should be in the solution-annealed condition, and free from grease, markings or scale. When cold formed these Inconel 800HT Plates extensively the grain size produces a visibly undulated surface called "orange peel". To avoid possible stress relaxation grain boundary cracking of our Inconel 800HT Coils in applications above 1000 Degree F the welded fabrication may be heated 1650 Degree F. These Alloy 800 Sheets Plates Coils is resistance to aqueous corrosion at moderate temperatures. 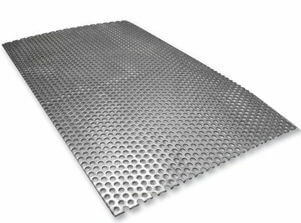 Incoloy Sheets, Incoloy® Alloy Plates, Incoloy® Coils, Incoloy Alloy 800 Sheet, Plates & Coils, Incoloy Hot Rolled Plates Dealers in Maharashtra, Incoloy® Alloy 800H Cold-Rolled Plates Stockists, Incoloy® Grades 800 / 800H / 800HT Sheet Plate & Coil Stockholders, ASTM B409 Incoloy 800HT Shim Sheets Suppliers, Incoloy® 800HT Cold Rolled Sheets, Alloy 800 Sheets, Alloy 800H Plate, Alloy 800HT Coils, UNS N08800 Incoloy® Alloy Slotted Hole Sheets, DIN 1.4876 Incoloy Flats, Cheap Incoloy® Sheets, Plates, Coils, UNS N08810 Incoloy Alloy Chequered Plates, DIN 1.4958 SB409 Incoloy® Alloy Rings Wholesaler in Charni Road, ASME SB409 Nickel Alloy 800H CR Sheets Manufactures, Incoloy 800HT Perforated Sheets, Incoloy 800HT Rings Traders in C.P.Tank Road, Incoloy® Alloy 800H Corrosion Resistant Plates, Incoloy® Alloy 800HT Rolled Floor Plates Stockists in Mumbai, Nickel Alloy JIS NCF 800 Hot Rolled Coils, Incoloy® Alloy 800H HR Plates, Buy Grade 800HT Incoloy® Strip, Rolls, Incoloy Alloy 800 Foils, JIS NCF 800H Slitting Coils, Incoloy® Alloy 800HT Cold Rolled Coil Exporters in India, UNS N08811 Incoloy® CR Plates, DIN 1.4959 Incoloy Diamond Plates Stockyards, ASTM B409M Incoloy® Alloy Embossed Sheet, ASME SB409M Incoloy 800H Perforated Coils Manufactures in Mumbai, Nickel Alloy 800HT Foils, Incoloy® Alloy 800 HR Coils, Incoloy 800H Circles, Incoloy® Alloy 800HT Rings, Incoloy 800 Blanks, Incoloy® Alloy 800H Flats, Nickel Alloy 800HT Profile, 800HT Incoloy Alloy Rolls, Incoloy® 800 B409 Slit Coils, 800H Incoloy® Alloy Hard Tempered Sheet & Coil, Incoloy® Alloy 800HT Industrial Coils Exporters in Mumbai India. Toronto, Doha, Jaipur, Caracas, Hyderabad, Perth, Ulsan, Jeddah, Seoul, Dallas, Montreal, Mexico City, Bhopal, Ahvaz, Manama, Ranchi, Santiago, Chiyoda, Aberdeen, Muscat, Colombo, Al Jubail, Dubai, Pimpri-Chinchwad, New Delhi, Thane, Surat, Visakhapatnam, Coimbatore, Chennai, Kanpur, Kuwait City, Abu Dhabi, Al Khobar, Turkey, Sharjah, Busan, Brisbane, Ahmedabad, Dammam, Port-of-Spain, Karachi, Bengaluru, Noida, Calgary, Singapore, Gimhae-si, La Victoria, Riyadh, Lahore, Kuala Lumpur, Haryana, Indore, Istanbul, Ernakulam, Howrah, Gurgaon, Bogota, London, Mumbai, Chandigarh, Thiruvananthapuram, Geoje-si, Courbevoie, Ludhiana, Faridabad, Sydney, Nagpur, Kolkata, Australia, Baroda, Algiers, Rio de Janeiro, Madrid, Atyrau, Hanoi, Secunderabad, Rajkot, Pune, Jamshedpur, Edmonton, Bangkok, Vung Tau, Houston, Petaling Jaya, Cairo, Tehran, Lagos, Los Angeles, Nashik, Hong Kong, Jakarta, Granada, New York, Vadodara, Ho Chi Minh City, Navi Mumbai, Milan, Moscow. Canada, Croatia, Argentina, United Kingdom, Sri Lanka, Finland, Jordan, Singapore, Algeria, Serbia, Spain, Thailand, Nepal, Gambia, Italy, Chile, Austria, Venezuela, Peru, Czech Republic, Azerbaijan, Costa Rica, Gabon, Greece, Turkey, Indonesia, South Africa, Mongolia, Germany, Puerto Rico, France, Egypt, Hungary, Morocco, Mexico, Vietnam, Denmark, United States, Poland, Kenya, Ghana, Belarus, Colombia, Bulgaria, Switzerland, Nigeria, Bahrain, India, Saudi Arabia, Sweden, Portugal, Oman, Romania, Mexico, brazil, Estonia, Taiwan, South Korea, Ireland, Libya, China, Australia, Japan, Yemen, Iran, Norway, Afghanistan, Lithuania, Iran, Bolivia, Kuwait, United Arab Emirates, Israel, Macau, Namibia, Slovakia, Hong Kong, New Zealand, Belgium, cyprus, Bangladesh, Chile, Poland, Qatar, Malaysia, Ecuador, Tibet, Nigeria, Bhutan, Russia, Lebanon, mexico, srilanka, thailand, malaysia, Zimbabwe, Philippines, Kazakhstan, Ukraine, Brazil, Netherlands, Trinidad & Tobago,Tunisia.